Did you attend either of these two street parties in 1981, when Prince Charles married Lady Diana Spencer? Wow. A real blast from the past all right. My mum and dad, Don and Eileen Woodcock lived at 15, Brookside Avenue and at the time so did my brother Dave. 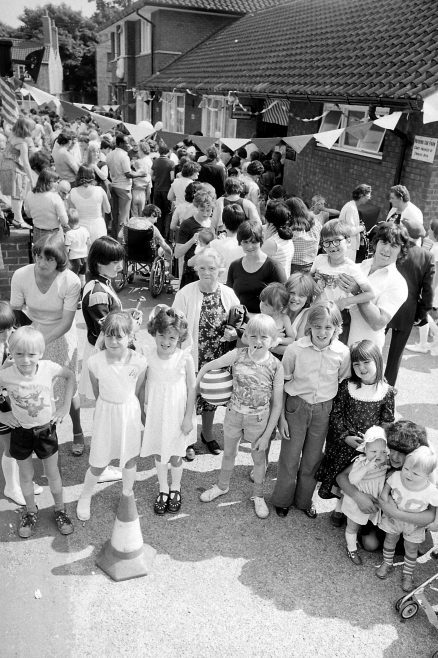 Can’t remember whose idea it was for the street party but I’m sure my mum got involved and I can also see Margaret Lightley kneeling in front with a small baby. 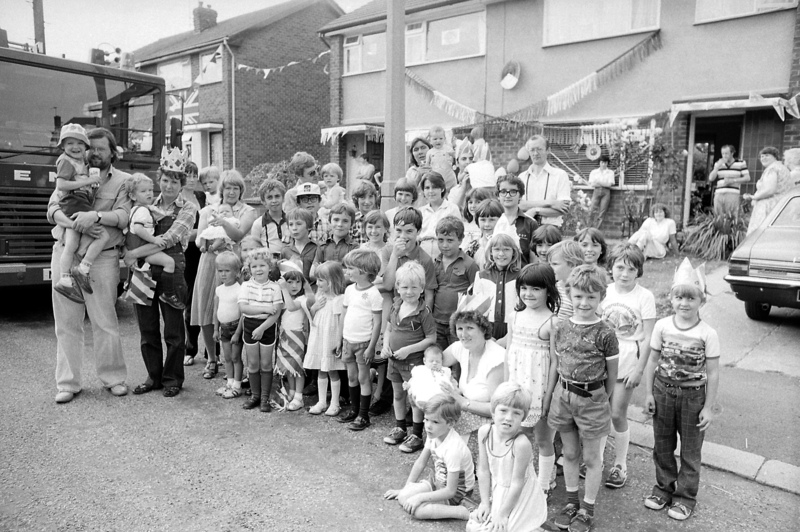 My brother Dave and Margaret’s husband Pete were both firemen (Nottingham Central and Mansfield respectively) and they arranged for the fire-engine to visit…which was a huge treat for all the kids as they had a great time with the blue lights and two-tones. The whole street got together and we had a lovely afternoon. I’m the one standing in front of the fire-engine holding a youngster and my wife Maggie wearing the coronet, looking none too pleased after my late return from the Park Hall Tavern, is holding our eldest son, David. Regrettably, I can’t recall the names of most people in it, except for my daughter Nia who’s standing just to left of her mum, in hooped top and holding her elbow. So if anyone else can remember the day it would be great to hear from you.